This USB-C™ multiport adapter turns your Windows® laptop into a portable workstation. 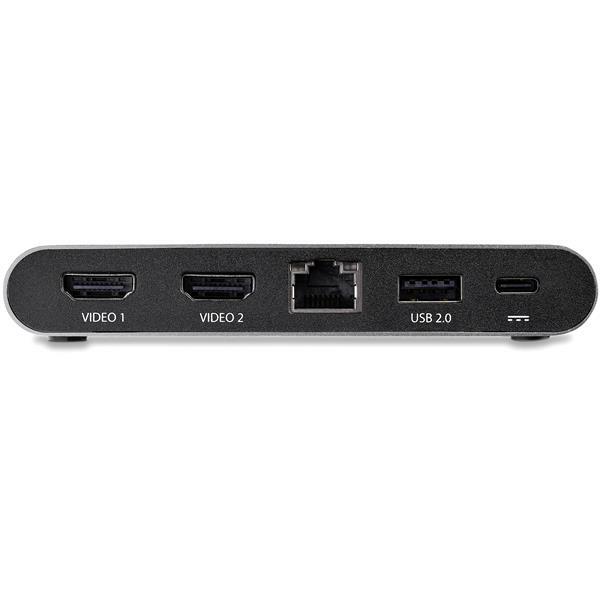 The dual HDMI adapter connects your USB-C laptop to two HDMI monitors, letting you power through work faster or make presentations with different views on two displays. It gives you two USB-A ports, a Gigabit Ethernet port, a DP Alt Mode Switch, and laptop charging. Through 100W Power Delivery 3.0, the USB Type-C™ multiport adapter powers itself as well as your laptop and any attached peripherals, with up to 85W laptop charging when connected to a USB-C power adapter. PD 3.0 features Fast Role Swap to prevent USB data disruption when you unplug the power adapter to switch power sources (USB-C power adapter to bus power). 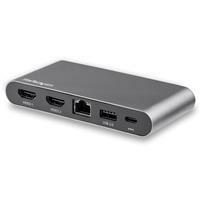 The USB-C HDMI multiport adapter extends your laptop screen to dual HDMI displays. Using the DP Alt Mode switch, you can choose between higher display resolution or faster USB speed to meet your needs, for desktop or portable use. Choose between: dual 4K30 (or single 4K60) resolution with USB 2.0 speed, or dual 1080p (or single 4K30) resolution with USB 3.0 speed. The USB-C display adapter gives you two USB-A ports (one USB 3.0/USB 2.0 port, and one USB 2.0) to connect your mouse, keyboard or other peripherals. This adapter worked well on all devices with which I tested. The passthrough power is great and a necessity on any dock or adapter in today's technical environment. An excellent option for those with USB-C and the need for additional displays. The installation is as easy as physically connecting the device and connecting HDMI displays, no software installation necessary. I received this product in exchange for an unbiased review.